This is my first year at Westminster Community Primary School. I completed my degree in the summer of 2018 at the University of Gloucestershire. Throughout my training, I taught across both key stages, but my passion lies with Key Stage 1. Please remember my door is always open so feel free to pop in. I have worked at Westminster Community Primary School since qualifying as a teacher in 2010 and have experience of teaching in years 1-6. Alongside my teaching role, I am also the Special Educational Needs and Disabilities Coordinator (SENDCo) - a role which I greatly enjoy and enables me to work with children and families across the school as well as working with a range of outside agencies. Please feel free to come and speak to me before or after school if there is anything you would like to ask or discuss. This is my fourth year of working at Westminster School. I have worked in EYFS and in KS2 and am looking forward to working with Year 1 this year. I'm also part of the school PTA and enjoy helping out at the school events. In my spare time I love spending time with my family. 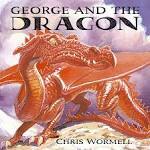 This half term in Year 1, our main focus is Castle, Knights and Dragons. We are very excited to learn lots of new information about this! We've had a very exctitng few lessons figuing out what our new text is. It began with a mysterious egg arriving which suddenly hatched and footprints were left around the school which we decided to follow! ENGLISH: The children will develop their skills in reading, writing, spelling , vocabulary, spoken language, grammar and punctuation. They will have access to a wide range of fiction and non-fiction texts. Skills learnt during English will be utilised and enhanced in other curriculum areas. It is so important to listen to your child read regularly at home and discuss the books they are reading to improve their fluency and comprehension. It is extremely important that you support your child in learning mathematical facts and their number bonds to10 and 20. This will improve the speed and accuracy of their daily maths work. SCIENCE: The children will be exploring plants and continuing their work on the Seasons. Geography: The children will be developing their map skills, including learning points of the compass and drawing their own maps. They will also be learning about the countries that make up the UK and learning their continents and oceans. PSHE, Citizenship, British Values and R.E. : In their PSHE lessons, they will be looking at what makes a good friend and our school rules. Computing: The children will be learning how to log on and off a computer, print, carry out research on the internet and E-safety. They will also be learning coding skills and using the Beebots. Please read with your child at home as many times a week as you can. Please also support them with their phonics, including their segmenting and blending of sounds. You can find the homework to be completed over the next term at the bottom of the page. In June this academic year, the year 1 children will be tested on their phonics knowledge. We will be practising for this all year, but your support at home will be greatfully received. Please find resources attached, including CVC alien words. Any other questions, pkease don't hesitate to ask. There is now a phonics booster which your child should be attending. This takes place on a Thursday night and finishes at 4:00. PE will take place on a Tuesday and Thursday. Please ensure your child has a full PE kit and suitable shoes in school. Children will be swimming on a Thursday so please make sure your child has their swimming kit with them. Reading books should be returned to school everyday. Water bottles - children may bring their own but please water only, no juice! Phonics booster sessions every Thursday after school. Please do not allow your child to bring their own toys into school. We have plenty in our classroom that the children are allowed to play with.